You are going to Watch RWBY Volume 1 Episode 6 online free episodes with HQ / high quality. Stream cartoons RWBY Episode 6 Online The following morning, the members of Team RWBY decorate their room. After arranging their other furnishings, they fashion their beds into bunk beds. As Ruby starts to talk about classes, Weiss realizes that it is time for their first class. Immediately, the team rushes over to class, alerting the members of Team JNPR to do the same. During class, Professor Port lectures about the Grimm and starts relaying a story, while Ruby quietly kids around. 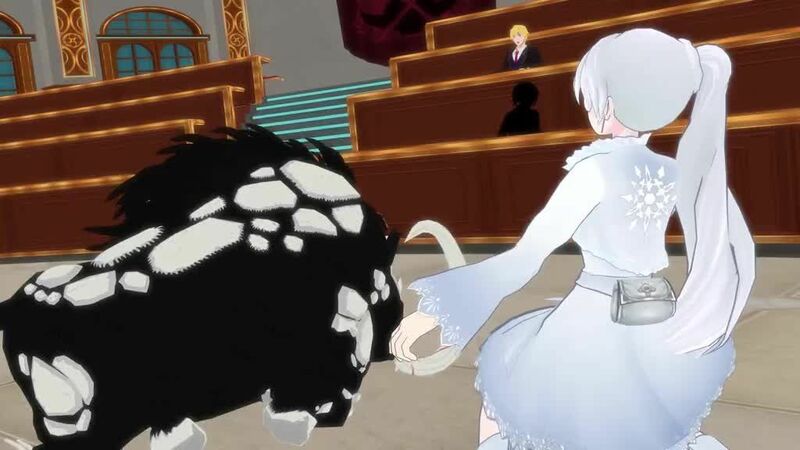 Frustrated with Ruby’s behavior, Weiss volunteers for the professor’s test for a 1-on-1 fight against a Boarbatusk. Weiss takes on the Boarbatusk but is often distracted by Ruby as she yells out unneeded advice. After some trouble, she takes down the Boarbatusk, and Professor Port compliments her. After class, Weiss expresses her displeasure to Ruby about her leadership position and claims that she would be better as leader. Just as Weiss leaves, Ozpin walks over and talks to Ruby. Outside the class building, Weiss talks to Professor Port in disagreement with Ozpin’s choice of Ruby as the group leader, but the professor disagrees, expressing faith in Ozpin’s decisions. At the end of their respective discussions, both of the girls are advised to improve their attitudes and accept their respective roles. That night, Weiss awakens a sleeping, but studious, Ruby, and this time, Weiss acts considerably nicer towards her. 4.5 / 5 - 17 ratings.